Waking Isabella is a story about uncovering hidden beauty that, over time, has been lost, erased, or suppressed. It also weaves together several love stories as well as a few mysteries. Nora, an assistant researcher, is a catalyst for resolving the puzzle of a painting that has been missing for decades. Set in Arezzo, a small Tuscan town, the plot unfolds against the backdrop of the city’s antique trade and the fanfare and pageantry of its medieval jousting festival. While filming a documentary about Isabella de’ Medici—the Renaissance princess who was murdered by her husband—Nora begins to connect with the lives of two remarkable women from the past. Unraveling the stories of Isabella, the daughter of a fifteenth-century Tuscan duke, and Margherita, a young girl trying to survive the war in Nazi-occupied Italy, Nora begins to question the choices that have shaped her own life up to this point. As she does, hidden beauty is awakened deep inside of her, and she discovers the keys to her creativity and happiness. It is a story of love and deceit, forgeries and masterpieces—all held together by the allure and intrigue of a beautiful Tuscan ghost. 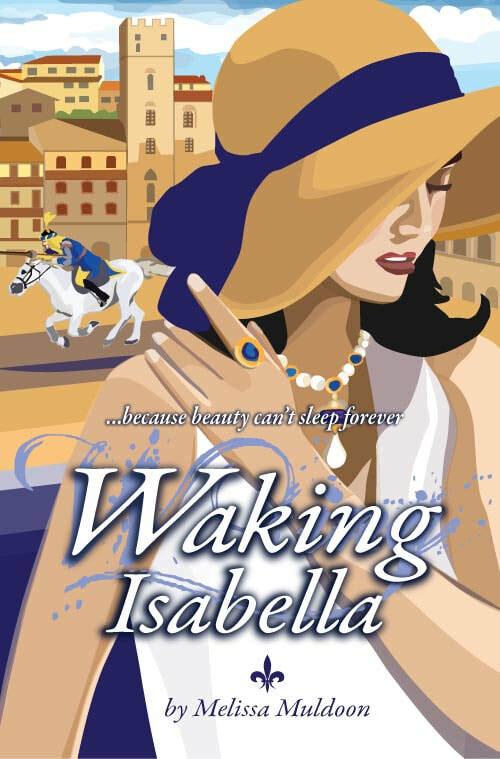 Waking Isabella is the second fiction novel by author Melissa Muldoon that embraces her love of Italy including its culture, history, food and art. There are two main characters at the very center of this story who live at different times. 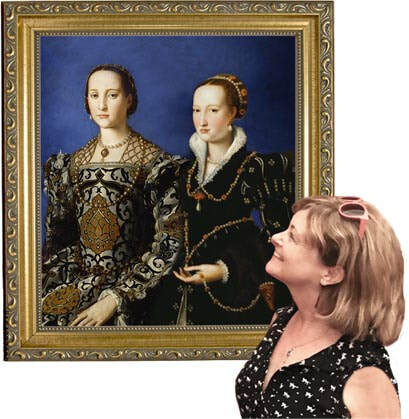 First is Nora, an academic who has recently divorced and decided to revisit Italy to film a documentary on a Renaissance princess she has been researching. From the past is the princess - Isabella - who meets her end at the hands of her husband. There are also many other wonderful characters to be found that are crucial to this tale, but these two carry the main plot. Waking Isabella moves seamlessly from present to past and back, slowly revealing the story line by peeling back one layer at a time. Nora and Isabella's stories are in many ways parallel journeys through bad marriages as well as finding love with another. As Isabella lives in a different time, her love has to stay a clandestine affair. Divorce was not an option For Nora in the present, it is a new relationship post-divorce with an antique dealer in Italy where she is staying. I love the way the author's writing takes the reader between past and present so seamlessly it feels like they are happening side by side. I also enjoyed the chance to learn about Italian history during several eras - the Renaissance, the German occupation and the current day. However, this isn't a history lesson. Over the course of the book the past and present story lines draw closer and closer until they meet in an ending that is the perfect period to this tale.